As technology takes significant steps forward, changes are being made to the distribution processes for companies around the world. The emergence and expansion of the e-commerce landscape is leading to new innovations in product development. As a result, organizations and individuals are working together to ease the transfer of information and create a truly global marketplace. Moving into the future, distribution processes need to be developed with value in mind for both businesses and their consumers. Flexibility, availability, speed, and service are essential in order to satisfy clients and customers around the world. If any one of these is lacking, businesses can expect to lose customers to competitors. However, there are issues that organizations must overcome in order to succeed in this endeavor. Counterfeiting – In order to meet distribution goals, companies may skimp on quality. Margin Erosion – Profits may steadily decrease over time. Regulation – Meeting strict regulations requires significant investment in terms of materials, proper processes, and best practices. Analyzing your distribution process allows you to discover room for improvement so you can stay ahead of the curve in the modern world. Counterfeit electronic components aren’t just a problem for legitimate component makers. They’re also a huge problem for manufacturers of products who purchase bogus electronic parts, thinking that they’re the real thing. Counterfeit electronic parts are often of much lower quality than legitimate components, increasing the risk of malfunction or failure, thus compromising the quality of the devices and equipment in which they are used. Electronic component procurement professionals need to be aware of the counterfeit electronic components problem and what is being done to stop it. Reducing the use of counterfeit electronic components can help companies avoid damage to their brand by product malfunctions and possible safety and legal liability costs. According to the Bureau of Industry and Security of the US Department of Commerce, counterfeit electronics cost the electronics industry about $100 billion each year. In the semiconductor segment alone, counterfeit electronics are a $7.5 billion problem. 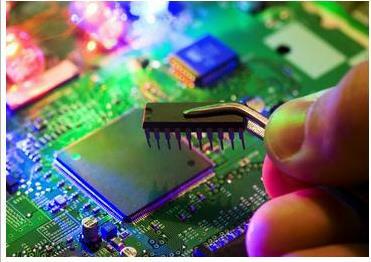 It is estimated that one in 10 of all electronic components are counterfeits. The proliferation of bogus electronics has grown exponentially in recent years as globalization has made it easier for counterfeit makers – many of which are in Asia – to obtain specs, make bogus parts, and distribute them to countries with large markets for electronic components, such as the U.S. Electronic component procurement professionals have had to become increasingly vigilant to avoid bogus parts, but, even so, many still slip through testing and mitigation procedures. The bogus electronics trade not only hurts the legitimate manufacturers of electronic parts, it also harms the end users of those parts. The problem is estimated to cost 11,000 U.S. jobs per year, both because of losses by the legitimate manufacturers, and by companies that use bogus parts in their devices or equipment. Electronic component procurement professionals need to be aware of the higher risk these parts offer and take steps to ensure that only legitimate parts are used in their products. There are many ways to counterfeit electronic components, but one of the most common is a simple matter of dumpster diving. Counterfeiters will raid junkyards and electronic waste disposal sites for junked equipment, and remove the parts. The counterfeiters will then sand over the old markings or paint over them and apply new markings. Substituting parts with those of lesser quality is another common tactic, as is salvaging die-level electrical reject products and manufacturing new parts from these die. The proliferation of bogus electronic parts in defense applications has become a grave concern for the U.S. government. A recent report found that as many as a million parts used by the military are counterfeit electronic components. In 2011, Congress passed, and the president signed, the 2012 U.S. National Defense Authorization Act, which included regulations intended to help detect and avoid bogus parts in the defense industry. Suppliers at every level of the defense supply chain now have to take steps to curtail use of counterfeit electronic parts. The new law makes contractors responsible for detecting and avoiding use of bogus parts, and also makes them responsible for performing work to remove these parts from defense applications. Defense contractors are no longer allowed to bill the government for the cost of reworking or corrective action taken to remedy the use of bogus parts. Also, the law requires the use of procedures and processes, to ensure that electronics are obtained from trusted and authorized suppliers. Using X-ray machines to check the restriction of use of hazardous substances status of parts. Bogus part manufacturers often neglect to follow standards restricting the use of hazardous materials in their components. Checking for these substances can help winnow out bogus parts. Decapsulation of random samples of parts can also help detect counterfeit parts. Manufacturers can use chemical decapsulation or mechanical decapsulation to verify manufacturers’ marks on the die-level product. Parametric testing involves comparing a sample part known to be authentic to samples of other parts to determine authenticity. Companies using significant quantities of electronic components should institute a testing regime to ensure that they are using legitimate parts in their products. Defective bogus parts can result in a number of costs to companies that use them, such as harm to their professional reputation, refunds and chargebacks, and legal liability should injury result from a malfunctioning product. One of the easiest ways to reduce the risk of using counterfeit parts is to obtain them from a reputable electronic component procurement firm like Procure International Inc. Procure International works with OEM/CEMs to obtain quality, legitimate parts from manufacturers. One of the biggest challenges facing electronic product manufacturers is being able to find the correct parts, integrated circuits, and other components required to build their products. Further adding to this challenge is when components become obsolete or scarce, making it more difficult to find exactly what is required. Any time this occurs, manufacturers are left either dealing with paying higher prices for those items they require, or having to adapt their product designs to function with more readily available components. Electronic component procurement is one method for preventing part scarcity and ensuring there is plenty of stock available, even in cases where the parts are obsolete. When an electronic product manufacturer takes advantage of the services available from an electronic component procurement company, they are able to ensure a regular flow of parts and components for the entire production run. The first step is to determine exactly what items are required to build and assemble the finished product. After developing, designing, testing, and approving the final design, the next step is to order the correct inventories of each component and part. Procurement firms normally give manufacturers different options, like reserving a large number of required items and shipping them in small batches as needed, or ordering large quantities in a single order. There are advantages and disadvantages to both procurement methods. Large batch ordering means the manufacturing firm has to set aside space within their facility and carry inventories of every single component and part they require. The firm has to invest a large amount of money into parts inventories upfront, which may be difficult for smaller operations. The main drawback to stocking large inventories of parts is if updates are made to product designs and specific components are no longer required, or if the product is discontinued. Unless these components and parts are used in multiple products, the manufacturer ends up with leftover inventories of items that are never going to be used, not to mention wasted company resources. Reserving components and parts, and having them shipped in smaller batches, ensures the manufacturer is receiving only what they require, when they need it. 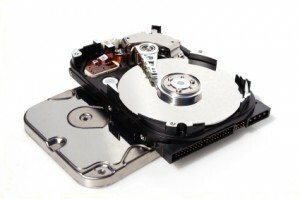 Normally, as soon as the parts arrive, they are used, so there is very little inventory to stock. In the event the product’s design changes or is discontinued, most electronic component procurement firms work with the manufacturer, so they do not have to accept any remaining parts and components from the reserved batches that have not yet been shipped. The disadvantage to this method would be if the manufacturer did not reserve the right number of parts and components and, later, the parts became scarce or obsolete. Then they either would have to modify the product design, or pay more for the parts and components because they are not readily available. For assistance in finding and procuring the rights parts and components for your electronic products, including hard-to-find, obsolete, and discontinued parts, contact us today at 321-773-9991.